Durham University students have held a rally after the institute announced it will raise its accommodation fees by 3.38%. It will be the ninth year in a row that prices have increased, with students now paying £7,422 for standard catered accommodation in the 2019/20 academic year, compared to £7,171 this year. 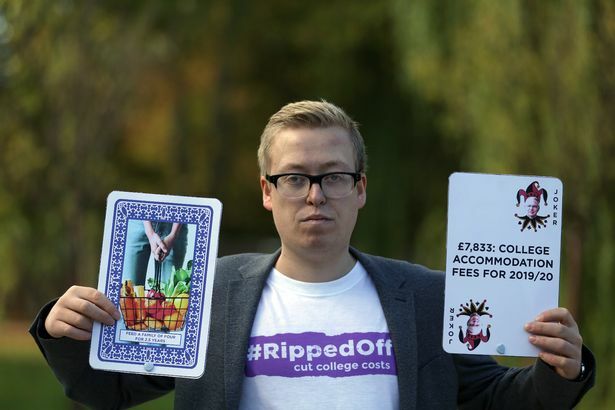 In 2010/11, students paid £4,854 before prices went up by 13% the following year to £5,505. Students have argued accommodation increases have been unjustifiable and have been raised significantly above the rate of inflation, but the university said the prices cover rising staff, utility and building costs. Now, student leaders rallied outside the university's Bill Bryson Library on Thursday to object against the increase. Student President George Walker said he is "deeply frustrated" by the decision and it is a feeling that's shared among other students. He said: "Throughout the last few years students have made consistent representations to the university opposing the spiralling college costs and demanding greater transparency regarding how accommodation fees are spent, and the cost of running and maintaining college accommodation." 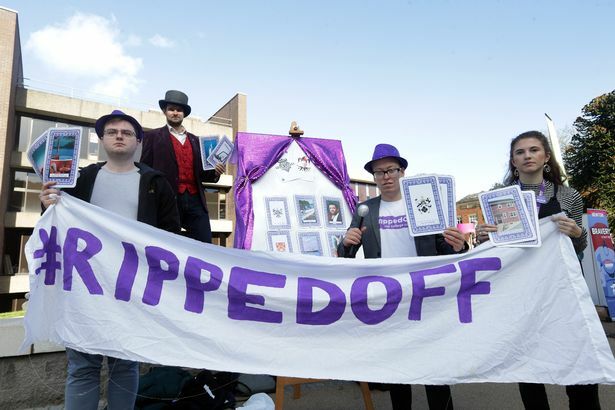 Mr Walker and the students have made their views clear on the issue and have regularly protested about the increases, launching the #rippedoff campaign. Durham University has consistently performed poorly on measures of access and widening participation for students from disadvantaged groups, Mr Walker said, with research ranking it as the fourth worst university for social inclusion in the UK. "The impact this further rise in fees could have on the ability of students from underrepresented groups to access a Durham education is of great concern," he said. Mr Walker said the announcement comes when relations between the university and the community are strained due to its estate masterplan and growth in student numbers. Under the plan, the university plans to increase its student numbers to 21,500 by 2027. He added: "As well as consistently demanding a freeze in accommodation fees, students have lobbied the university for an expansion of the financial support offered to students, and increases were secured last year. "This year, we'll be pushing for an increase in the needs-based financial support offered by the university and working to ensure that resources are better targeted at those most in need. "The Students' Union has called on the university to be more transparent about how students' accommodation fees are spent and how much it costs to run and maintain college accommodation, and await the university's justification of this in November," he said. Vice-Chancellor Professor Stuart Corbridge said the cost of running the university increases each year. "College fees have been raised so as to reflect rising staff, utility and building costs," he said. "However, we know some of our students face real financial pressures. "We offer a bursary scheme, know as the Durham Grant Scheme (DGS). "The DGS is available to undergraduates - throughout their course - who are home students, studying their first degree, and who have a household income of less than £25,000 a year. "We are constantly seeking to expand these forms of support, as much as possible."